Open medication communication occurs if there is cooperation among the patient, caregivers and physicians about implementing plans of care. My 82 year old mother recently told me that she likes her doctor because "she takes time with me." How many of you have felt rushed when in your doctors office? Have you ever left and later realized that you forgot to ask about a symptom or medication side effect? Today, more than ever, physicians feel rushed to see an ever increasing number of patients while insurance companies often reduce fees. Sadly, the doctor feels rushed and stressed. The patient feels rushed and less nurtured. Research tells us that the average primary care physician visit is now only 12 minutes in length. This sad state of affairs often leaves little time for questions. It is critical that you discuss with your doctor any questions you have about your medications for memory loss. Medication communication should occur about many factors but especially when a new memory loss drug or any medication is prescribed. As discussed on our Memory Loss Drug page, there are an ever increasing number of medications available for the treatment of memory loss associated with dementia and Alzheimer's disease. Why is this medication being prescribed for me now? How should I use the medication? That is, how should I take it? Is this medication used for other purposes? Medication communication should include what the side effects of the drug may be. Are there any special precautions I should consider? What should I do if I forget to take the medicine? 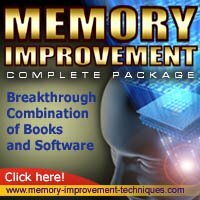 Are there any foods I shouldn't eat with this memory loss drug? What should I do it I think I have taken it twice? Should I store this medication a certain way? Don't forget that pharmacists are actually sometimes more familiar with the use and precautions of the medications than your physician. In my experience, they are usually very willing to help you understand any of the questions above. Finally... be prepared! Before you visit your physician write down any questions you have. Pull out notes with the questions while you are in the examination room. Check off each one as it is asked and answered. Remember… don’t be shy. It's your body and your life!